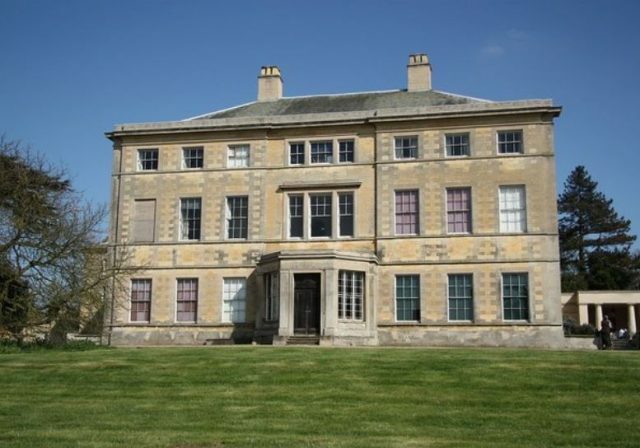 1) (Leadenham House, co. Lincoln). Gu. a chev. vairé or and az. cotised ar. betw. three roses of the last, barbed and seeded ppr., quartering King, viz., Per bend or and ar. two bendlets ermines. Crest: A horse’s head erased per fess nebulée ar. and gu. charged on the neck with two mullets in pale or. 2) (Glastonbury, co. Somerset). Az. within two chevronels engr. or, betw. three pelicans feeding their young ppr. a portcullis betw. two crosses pattée ar. Crest—On a mount vert an eagle, wings elevated sa. each charged with a cross pattée as in the arms, the dexter claw resting on a cross botonnée or. 3) (Danemore Park, Speldhurst, co. Kent). Quarterly, 1st and 4th, ar. on a bend cotised sa. three lezenges erm., for Reeves; 2nd, per pale indented gu. aud az. three cups, two and one ar. in each a boar’s head erect or, for Bowles; 3rd, per pale or and az. barry of six and its cantons divided per bend dexter and sinister respectively, all counterchanged, Crest—A greyhound sejant sa. bezantée, collared and ringed or. Motto—Prius quam factum considéra. 4) Ar. a fess betw. three billets az. on a chief gu. a lion pass. guard. ar. Crest—A demi griffin sa. 5) Ar. on a bend cotised sa. three lozenges erm. Crest—A greyhound sejant sa. bezantée, collared and ringed or. This is an official surname meaning “the reeve”, which was a bailiff (of a franchise or manor), steward, or provost. Such offices or titles lent their designations to surname. The spelling variant Reeves is a genitive form meaning “the son of Reeve”. It comes from the Middle English word reeve, which in turn comes from the Old English word gerefa. The duty of a Reve was to levy the Lord’s rents, to manage servants, and to husband his “demeasnes to his best profit”, to govern the tenants in peace, and to lead them in war. Such servant titles were held in high regard during medieval times. Another source states it is a topographic name given to someone who lived on the edge of the woods, from a misdivision of the Middle English phrase atter eves (at the edge). In his book, Homes of Family Names, H.B. Guppy writes “Confined to the southern half of England, and not extending north of a line drawn from the “Wash to the Mersey. Best represented in Wilts, Kent, Sussex, Suffolk, Norfolk, and Northamptonshire; but infrequent in the south-western counties”. There are numerous The name also serves as the base of many other names (ex. Woodreeve meaning Woodruff and Shirereeve meaning Woodruff). Foreign equivalents include Riewe (German) and Rieuwe (Dutch). The Hundred Rolls of 1273 AD, a census of Wales and England, known in Latin as Rotuli Hundredorum, documents two people with this name: Sampson le Reve in county Suffolk and John le Reve in county Somerset. William le Reve and John le Reveson were documented in Kirby’s Quest during the reign of King Edward III of England. A one Sager le Reve was recorded in the Rolls of Parliament. John ate Revese was recorded in the Subsidy Rolls of Worcestershire in 1327 AD. Richard del Reves was documented in the Subsidy Rolls of Lancashire in 1332 AD. Early marriages involving this surname include William Reve to Joyce Headley in London in 1611, Elizabeth Reeve to John Trott in 1638 at Westminster, and Elizabeth Reves to James Petre in 1686 in London. Early baptisms include Ann d. William Reeves in 1729 at St. Dionis Backchurch. 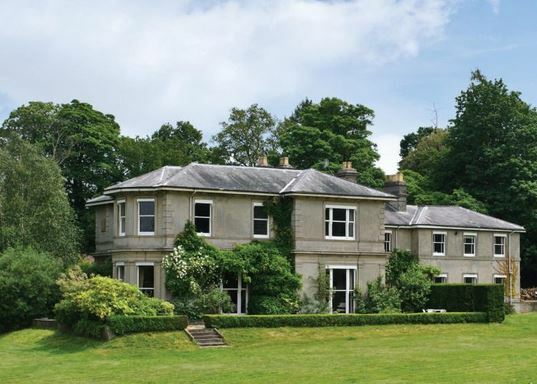 The famous genealogist Bernard Burke discusses three branches or lines of this family in his book “The Landed Gentry”: Reeve of Leadenham, Reeves of Besborough, and Reeves of Danemore Park. The first branch begins with mentioning John Reeve, Esq. of Leadenam in county Lincoln who was born in 1822. 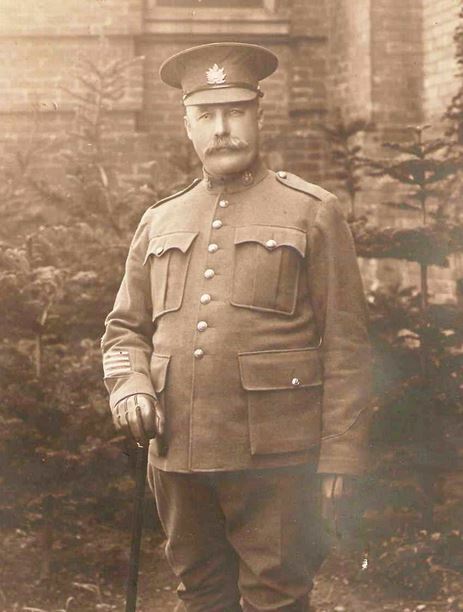 He was High Sheriff in 1871 and a Lieutenant Colonel in the army. In 1857, he married Frances Willeminda, the eldest daughter of Sit Glynne Earle Welby, and had a daughter with her. His second wife was Edith Anne, the daughter of Reverend Charles Dundas, and with her had one son named John Sherard born in 1872. He traces the lineage back to William Reeve, who lived at Melton Mowbray in county Leicester during the time of the Commonwealth and possessed an estate at Leadenham through his marriage with Jane, the heiress of Ellis Key. He died in 1791 and left issue: William, Jane (1739), and Mary (1744). William was the heir and he became High Sheriff in 1808 nad married Millicent Mary King, and with her had the following children: John, William Key, Henry, Ellis, Jane, and Millicent Mary. His heir was John, who became a General in the army and Colonel of the 61st Regiment. He married Lady Susan Sherard, the daughter of the 5th Earl of Harborough, and with her had four children: John, William Henry, Susan Millicent, and Emma. John was his heir, mentioned above. The second branch begins with mentioning Robert William Cary Reeves, Esq. 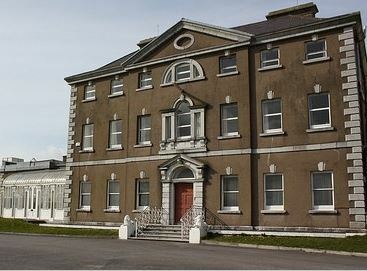 of Besborough Burrane in county Clare, born in 1837, who was the High Sheriff in 1869. In 1886, he married Grace Dorothea, the daughter of Colonel Vandeluer and Lady Grace, and with her had five children: William, Grace Wilhelmina, Rose Frances, Elizabeth Mary, Shela Alice, and Eileen Rosetta. Burke traces the lineage back to Major Robert Reve, or Reeves, the son of a prominent family in Sussex, who eventually settled in Ireland during the reign of King Charles I of England. He married Elinor, the daughter of Colonel Ownt O’Dempsey, and had a son with her: William Reeves. William married Bridget Malone and with her had a son named Robert. 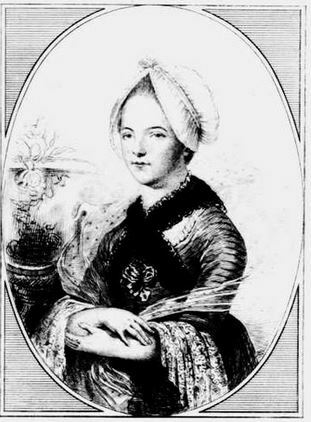 Robert married Mary Bodley and with her had a child and heir also named Robert. This Robert married Grace Spaight and with her had the following children: Robert, Joseph, Thomas, Edward, Grace, Catherine, and Jane. The eldest son was Robert Reeves, Esq. 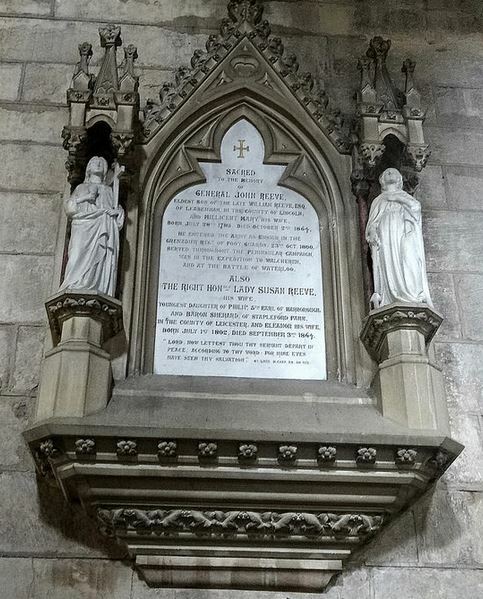 of Platten in county Meath who married Mary Maunsell of Limerick and with her had issue: Robery, William, Samuel, Edward, Richard, Joseph Robert, Bridget, Grace, and Mary, before he passed away in 1835. 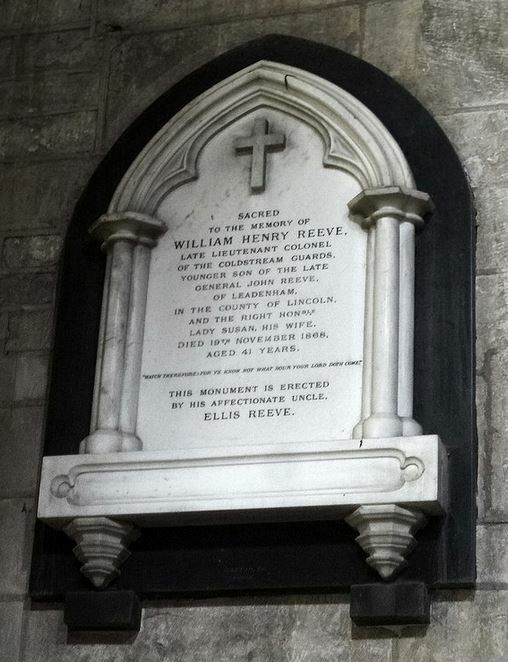 He was succeeded by his second son William Maunsell Reeves, born in 1788. 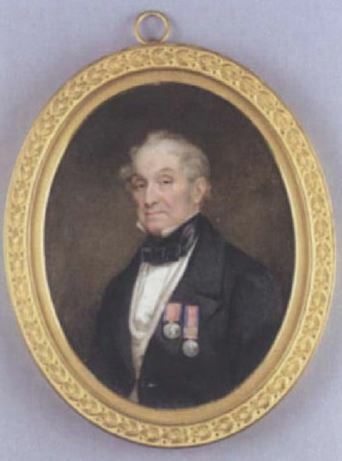 In 1828, he married Rose, the daughter of Robert Conway Dobbs, and had children with her: Robert William Cary (1840), Conway Richard (1840), William Maunsell (1843), Wilhelmina Josepha, Mary Winthrop, Charity, and Rose Emily. William died in July of 1857. The third branch trances back to John Bowles, the son of Thomas Bowles (born 1657), who married Mary Carrington and had a son with her name Carrington Bowles. Carrington married Anne Field and with her had a son named Henry Carrington Bowles, who married Anne Garnault. They had a daughter named Jane Mary Bowles. She married James Reeves, Esq. of Danemore Park and had issue with her: James Bowles, Jane Fanny, Elizabeth Anne, Anna Maria Emily, and Caroline Harriett. James was the heir and succeeded his father in April of 1868. Thomas Reeves I was born in 1620 in Southhampton, England. He married Hannah Rowe in 1645 and with her had a son named Thomas II. Thomas II was born in Roxbury, MA in 1646. He married Rebecca Davis in 1672 and with her had a child named John Reeves I. John I was born in 1673 and married Rachel Foster in 1696. They had children named John Reeves II and Abraham Reeves. John II was born in New York in 1697, and later died in 1779. Abraham was born in 1699 and married Damaris Sayre. He had a son named Thomas Reeves, born in 1728 in New Jersey. He married a woman named Thankful (last name unknown) and with her had a daughter named Sarah. Joseph Reeve came to New England aboard the Christian in March of 1634. William Reeve came to New England aboard the Elizabeth in April of 1635. Thomas Reeve left the port of London in May of 1635 and went to St. Christopers aboard the Mathew. A Nathaniel Reeue or Reeve was recorded as living in Virginia in 1623 “att ye Neck of Land”. Other settlers include: Leonard Reeves (Virginia 1638), Rachel Reeves (Virginia 1701), and Mary Reeves (Maine 1830). The family mottoes include: 1) animum rege, meaning “rule thy mind”, 2) nil sin deo, meaning “nothing without God”, and 3) Deo volente, meaning “God willing”, 4) virtute et fidelitate, meaning “by valour and fidelity”, and 5) revera pro regina, meaning “respect for the queen”. Later people granted the arms with this name include: 1) of Hendens, nr. Maidenhead, Berks., , 2) William, s. of William (-Key, Jane, of Melton Mowbray, co. Leic, relict of William, of eo. Leic). Escutcheon of pretence over Reeve. Crest to descendants, , 3) Reeve-Delapole, Sir John George, Bart., of Berks, and Devon, , 4) of Wighton, co. Norf. [1840 ? ], 5) to Brooke, of Wigton and Great Walsingham, co. Norf., , 6) Reeve-King Nevill, Henry, of The Hall, Ashby de la Launde, co. Line, 1897,7) Reeves, John, of West Ham, co. Essex, Bencher of the Middle Temple, London, , 8) to Porch, . . . ., of Edgarley, co. Somerset, , and 9) of Glastonbury, co. Somerset, . Famous people with this last name include: 1) Christopher Reeves (1952-2004) a famous American actor best known for playing the iconic role of Superman in the 1970s and 1980s, 2) Charles Stephen Reeves (1836-1912) a politician and mayor of the city of Dunedin in New Zealand, and 3) Joseph Mason “Bull” Reeves (1872-1948) who was an admiral in the United States Navy.